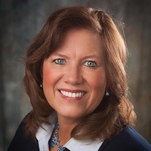 Superintendent gets real in latest "Talk of the District"
Even the very best schools and school districts face real challenges. Stillwater is no different. While many students and families in our district are having amazing experiences, too many others struggle. Despite the many positive changes happening in our schools, there is still much to be done. Our students come to us today with greater needs than we’ve ever seen before, and our schools are not fully equipped (or adequately funded) to handle the realities we’re seeing. Read the full article. Five years ago a group of nearly 30 community members, parents, staff and students came together to create the Bridge to Excellence strategic plan. This week they came back together to review all the work that has been completed and celebrate the many accomplishments that have occurred across the district. Watch for a report at the April 12 school board meeting. "We accomplished a lot! Kids are learning and growing, engaged and happy!" said one team member. "Incredible progress in such a short time on so many fronts," said another, citing increased social and emotional supports and the new middle school model as examples of success. Did You Know? 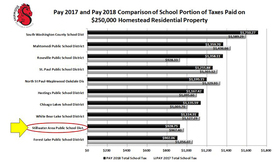 If you could move your existing home into neighboring districts like Mahtomedi, South Washington County or White Bear Lake, you’d pay considerably more in school taxes. Click here to see the comparison chart. Other districts also receive additional revenue through things like technology levies, which we do not have. While we do an incredible job using resources wisely, this discrepancy in funding limits us in what we can offer our students. Learn more about our budget realities. Great teachers? Yes ... Stillwater has them! 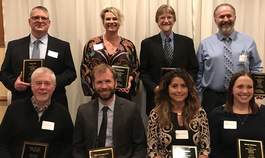 Eight Stillwater Area Public School teachers and staff were honored during a special banquet sponsored by The Partnership Plan Monday night. The winners were: Jeff Ranta (retired high school math and astronomy teacher), Tate Schoeberlein (behavior specialist at all district buildings), Julie Haddad (Kindergarten teacher at Brookview Elementary), Nicole Malone (math teacher at Stillwater Middle School), Stan Spain (special education teacher at Lily Lake Elementary), Teri Randazzo, birth-to-three-years childhood special education teacher at the Early Childhood Family Center), Tim Foster (retired 6th grade teacher) and Glenn Boettcher (science and agriculture teacher at Stillwater Area High School). Congratulations to Lake Elmo Elementary teacher Annelise Aaro for being named an Excellent Educator by WCCO-TV! She was surprised with the award last week while teaching in her first grade class. Watch the video. Have fun while raising money for mental health efforts! Join us at this year's Partnership Party and help us raise funds to expand a mental health initiative to incorporate Yoga Calm into every elementary school next year (and into middle schools in the future). YogaCalm is helping kids learn emotional intelligence, stress reduction and self-control, increased imagination and concentration, all while strengthening learning readiness. 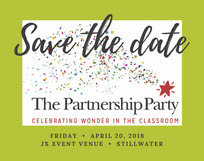 The Partnership Party is Friday, April 20 at 5:30pm at JX Event Venue in Stillwater and is open to all! Learn more online. Students recognized for their "Skills"
Thirteen Stillwater Area High School students competed in the 51st State SkillsUSA and Leadership Championship Conference. 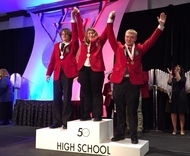 In the Employment Application Process event, Kaitlyn Mathaus earned gold, while Nick Carlson captured silver and Alex Volmer took bronze. In the Action Skills category, Lizzi O'Malley won gold and Alli Kazmierczak earned silver. Our 18-21 Transitions Program Advisors Mike Albers was named the SkillsUSA High School Advisor of the Year. Read more. Stillwater orchestra students performed at Orchestra Hall this week. Eighth graders from Stillwater and Oak-Land middle schools and ninth graders from Stillwater Area High School were invited to perform. Only schools who earned "Superior With Distinction" at a previous contest were invited. Listen to this short clip from the SMS eighth grade orchestra. SAHS students are preparing the school's Environmental Learning Center for spring. The Conservation Corps showed them how to identify and remove invasive species like buckthorn. Students will be coming back on a weekly basis to help move material and maintain the trail system. This project was funded by the Minnesota Environment and Natural Resources Trust Fund. A shoutout to the SAHS students who created a video for National School Breakfast Week! Their efforts earned a scholarship to the 2018 MSNA annual conference this summer. Food Services worker Pam Hall will be attending and received free admission to the conference and complimentary hotel accommodations as a result of the breakfast video created by Cutaway Productions based on her concept.